This Minneapolis Wall Mural titled "Dusk and the City 2" comes in three different sizes, and custom sizes are available as well by contacting me. Sizes and descriptions will be listed below. All of my Minneapolis murals are made for smooth and slightly textured surfaces. They are an easy to install peel and stick woven fabric, and they are removable and repositionable. They are also manufactured in the USA. 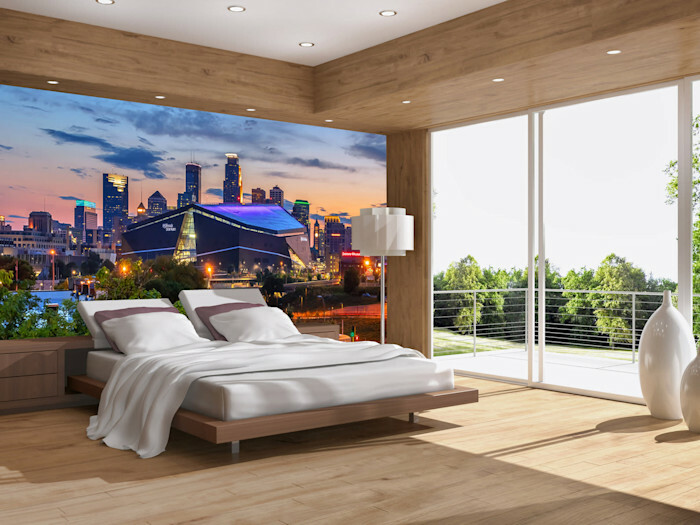 More information is listed on my main Minneapolis Wall Murals page. 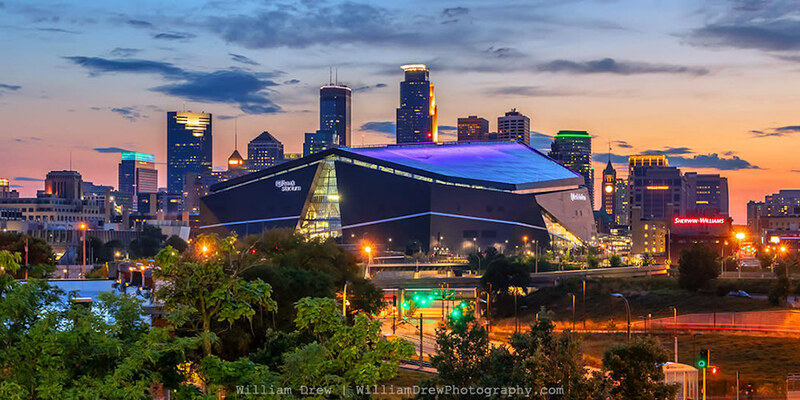 See other medial options for this print in my Minneapolis Art Gallery. 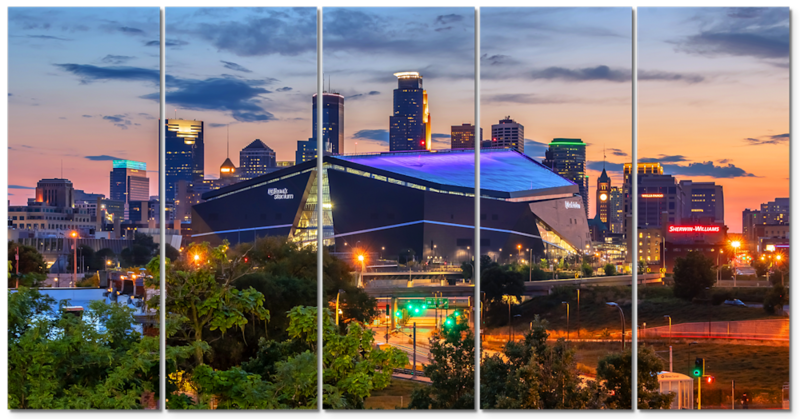 This 5-piece Canvas Wall Art Minneapolis piece named "Dusk and the City 2" consists of five equal size Canvas Gallery Wrap pieces. The subject is the city of Minneapolis on a colorful dusk evening. The US Bank Stadium is the dominant structure in this photograph. This print is also available as a Wall Mural. This was my first time shooting this beautiful city from this location. I was on top of a parking ramp that I had never even seen before, taking a look at some beautiful color in the background of the Minneapolis Skyline. There is another parking ramp a few blocks away that I have used a few times this summer, but I seriously had never seen this one before. I am sure I will be back with a view like this available from it. From this view, you can obviously see the US Bank Stadium, the Capella Tower, and the IDS Center. The Wells Fargo Tower is barely visible from behind the Capella, but it is there. I hope you enjoy this Minneapolis Skyline photograph, and please feel free to share! Dusk and the City 2 Photograph as Fine Art.